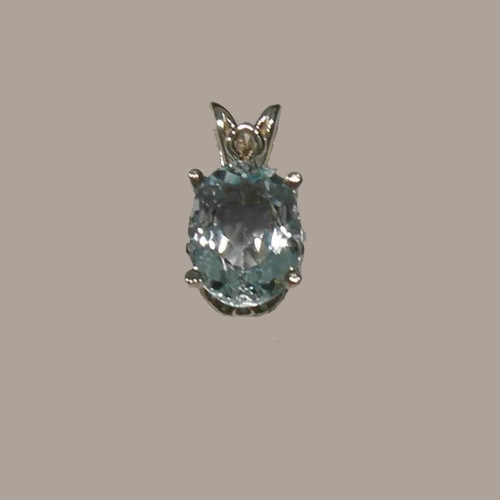 Desc: 14 karat white gold oval faceted Aquamarine pendant. The Aquamarine is the birthstone for March. We can provide the Aquamarine enthusiast with any shape and carat weight (Contact us for details).